Barbara Ann Cogdill- Age 75, March 27, 2018. Preceded in death by her husband, Robert Cogdill; mother, Ethel Lowe; father, J.B. Conner; sisters, Carla Lowe and Edna Conner; brother, David Lowe. 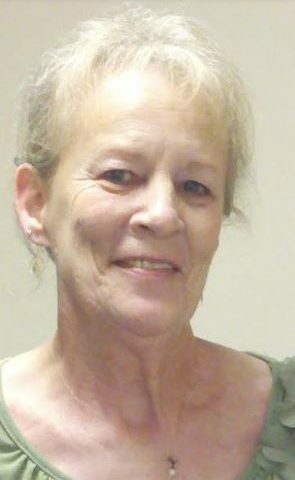 She is survived by her children, Billy Cogdill (Theresa), Bobby Cogdill (Tracy) and Judy “Missy” Swift; grandchildren, Angela, BJ, Robbie, Kurtis, Brandon, Linsay and Shelby; great-grandchildren, Anthony, Brandon, Addison, Austin, Serenity, Evan and Edgar; sisters, Betty Jo, Judy, Vicky and Jackie; brother, Jimmy. Our mother was our rock and we don’t know what we’re going to do without her. She has always, always been there for us and her family. We love you Mama, tell everyone we love them and until we meet again we will miss you. Visitation will be from 10-11 a.m. on Wednesday, October 31, 2018 at Harpeth Hills Funeral Home. A Celebration of Life Service will be at 11 a.m. on Wednesday at Harpeth Hills Funeral Home. My thoughts and prayers are with Barbara Ann’s family at this difficult time. I know how inportant family was to Barbara Ann. She will be missed by all of her family and friends. Stay strong family as I know Barbara Ann would want that of you. RIP Sweet Cousin!!!!!!!! Mom, it’s been a little over a month now. And it still not real to me, I want to open the door to your place every morning and come down and sit outside and smoke a cigarette with you and your not there. I miss you so much!!!! I hope your with Dad, Grandma, Carla, David, Edna Ruth and your Dad. Give them a hug and kiss for me. I love you so much!!!! !